Good evening and welcome to the 'new' Limit Theory development logs! As per my promise to get back on the communication train, with this post I'll be kicking off the new logs (which may casually be referred to as The LT Fortnightlies), in hopes of ushering in a much-needed era of sane, stress-free, non-showmanly communication to you all. Note that, unlike the past devlogs, I am (at least tentatively) leaving these open to comments, until it proves to be a bad idea. Last week was a ridiculously-busy flurry of code, electronic equipment, failures thereof, migraine-inducing bugs, triumphant successes, very little sleep (followed by far too much sleep), and, in the end, a lot of good feels. When I signed up to be a part of the Louisiana Tech Park's PAX group about three months ago, I had only one intention: to light a fire under myself to get something playable in a booth. At the time, that seemed impossibly far away. As of Sunday, it was reality Mission accomplished! The demo that I showed off was, for the most part, built in about a week. More specifically, the bulk of it was built between last Tuesday and Sunday. As usual, I managed time poorly and would have had more features in the demo had I started earlier. Still, I don't think I'd change the way it played out, since the process proved to me a few things. 1. Perfectionist Josh is dead. There can honestly be no question about it. This puppy was rough. To even get it working in time, I had to muster duct tape and hacks like I've never mustered before. I cheated physics in ways that would have never even occurred to my little elegance-loving brain in the past. I cut my original grandiose goal down to the bone, literally re-organizing my 'critical features' priority list every hour or so as it came down to the wire, and slowly accepting that more and more things would not make it. Sounds bad, right? But in the end: there was something playable. 3. (I will discuss this more later) My hopes that LuaJIT will yield the performance I need are cautiously growing. I was quite surprised at how well it held up. It took me until noon on Sunday (on Friday I alternated between a screenshot slideshow and a random nebula generator with a slowly-rotating camera; on Saturday I stayed in the hotel and coded all day because I couldn't handle not having something playable), but a playable demo finally arrived. When I first arrived with the demo, it immediately became clear that it was too difficult. People couldn't hit ships at all. I guess I've become a bit too good at leading ships properly in order to hit them, and forgot that it's quite hard So I pulled up gvim and, ten minutes later, aim assist was making the game all too easy as people simply held down the fire button and watched the enemies explode Five more minutes of gvim later, we had a 'partial' aim assist, which required people to aim relatively close before the targeting computer would help them. Finally, the difficulty was about right and people started to enjoy playing. 1. The core C library gained a lot of features. To me this one of the most 'concrete' wins, because I consider that library to be the one permanent fixture of all this development. It's still unknown whether LuaJIT will pan out, therefore, whether the existing Lua code will be used in the final Limit Theory isn't known at this time. The C library, however, will be used, and it gained a lot of functionality this week. Loads of new matrix math routines, Mersenne Twister RNG implementation, heavily-expanded gamepad support & functionality, new fast noise library, some basic physics functionality (basic intersection tests, impact point calculations), and more. 2. I got a lot of inspiration and rekindled enthusiasm out of it. Truth be told, I've been down in the dungeons battling FPLT for so long that I've forgotten to come up for fresh air. When I first drove an ugly little box ship around a system again, it felt really good, good enough to inspire me for a moment or two. I've always had a problem with remembering to play and have fun with the GAME I'm making. I'm going to try to do a better job of that, because it's no fun feeling uninspired. 3. The LT community is now fully convinced that I'm intent on doing things differently for the better. Right? Right?? 4. I gained some important perspective on what matters. I know I've had trouble with this in the past, but again, I'm making a big effort to move to the land of pragmatism. 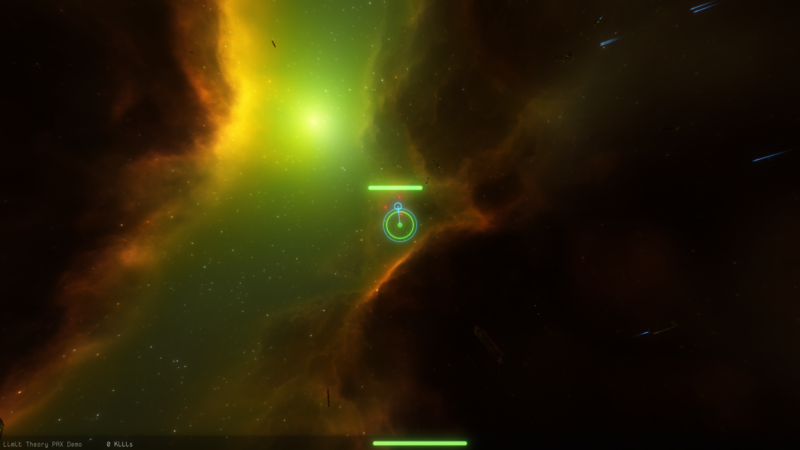 During the development of the demo, I scrapped features that it almost killed me to scrap, out of pure necessity. I didn't have time to bring over a ship-generating algorithm, so my placeholder boxes never got replaced. 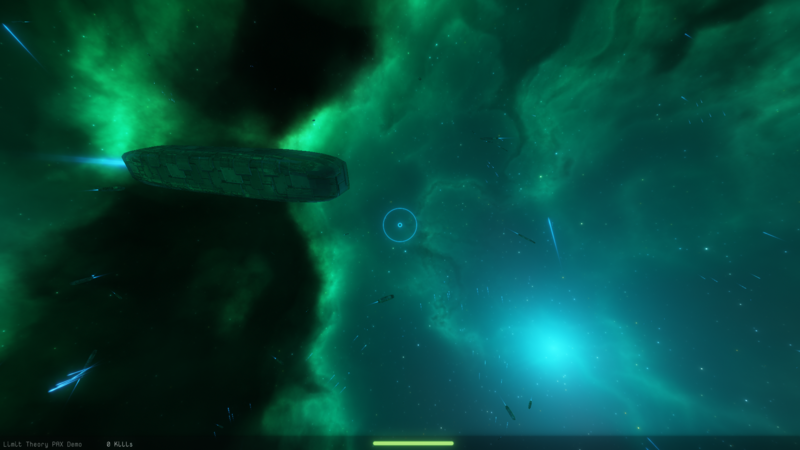 I didn't have time to bring over my entire physics engine, so the player could fly right through other ships. These things killed me deep down. But how many people made an issue of them when playing? Zero. Instead, I heard things about targeting feeling clunky, movement not feeling 'tight' enough, wanting more weapons, etc. Throughout the day I tweaked these things with some live-coding to improve the experience, and it made all the difference. The few people that did figure out that they could fly through other ships didn't bat an eye, and just went on shooting. Granted, I'm not saying that I plan on ripping physics out of LT 1.0, or that I'm going to ship it with box ships. But it was an important reminder for me that I have a very skewed perspective as a developer, and that having people play the game and remark on what needs work is critical. 5. I got to meet some people who have been following LT (including a few forumers like Flatfingers, Skyfligher, Sebby McWester), and the experience of talking to them about LT and the things that made them excited made me really, really happy. 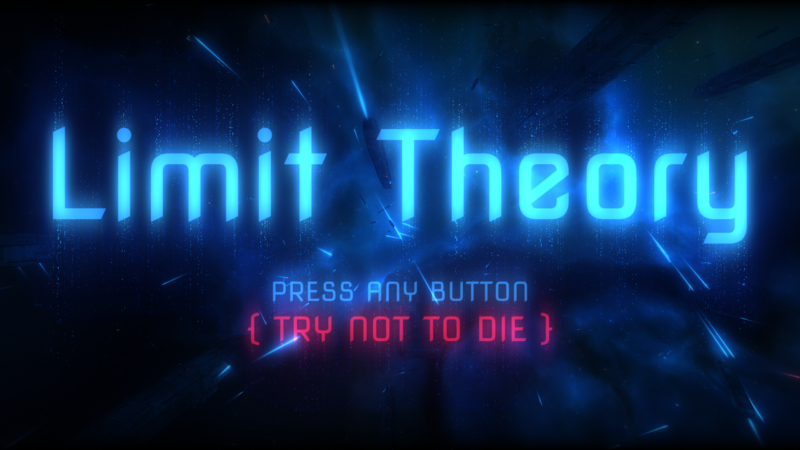 I started Limit Theory to build my dream game. I'm still doing that, but as I've grown up a bit since the beginning, I think seeing the excitement and the smiles on other peoples' faces as they talk about LT gets me going more than it used to. All you guys who share my dream and have supported me in the journey to make it a reality are very much an inspiration to me at this point. Thanks to last week, I have a pretty strong feeling about where I need to go from here. As I mentioned, LuaJIT performed quite well the whole time. I never had issues with CPU bottlenecks, I seldom had issues with the GC (and was able to mitigate them substantially by tweaking the GC's settings). In the end, I was, frankly, amazed to be able to run 500 ships in a system with thousands of pulse lasers flying through the air at any given moment at a decent framerate. The game logic was simple compared to full LT logic, BUT not so simple that it can't be used as a rough measuring stick. Before PAX, I was on the fence about LuaJIT. I was cautiously optimistic. After PAX, I am now even more on the fence, and even more cautiously optimistic. In other words, I have pushed much deeper in to doing things with it, and the situation with respect to whether or not it will work has remained unchanged. LuaJIT has thus made it farther than any of the previously-explored solutions. This week, I intend to launch an intensive study into the performance characteristics of the PAX demo + features that I'll be adding in an attempt to get a better sense of what happens when the logic gets heavier. I basically need to prove that LuaJIT will work, or prove that it won't. That's my current goal: to hop off the fence. To do so, I'm going to have to break out the measuring tools and do some serious profiling to figure out exactly where LJ is going to start hurting me. It's going to be tough, because JITs have a totally different set of performance characteristics from static languages, and I've been pretty off in my previous assessments concerning LJ and performance. I need to become an expert on LJ performance in the coming weeks. Yep, I actually come bearing screenshots this week. Again, please don't be fooled by this first log: it was clearly an unusually exciting week! We have a new LTDL, I decided that we need a new discussion thread too. Last edited by 0111narwhalz on Tue Jan 31, 2017 11:53 pm, edited 1 time in total. I split it. That was for 2015. Best not to dredge it up if we don't have to. Josh said in his post that he left the last devlog post "open for replies", but it it clearly not open for replies, so I'm going to ask him about that. In the meantime, people can post here, and I'll merge it with the devlog later if he decides to let me unlock it. Thanks for taking the initiative, Narwhalz. Whoops ~ Talvieno pointed out that the log wasn't actually open to commenting as I had claimed. It should be now! Thanks for pointing that out Talvieno, I think I've got the permissions fixed now. Any brave (normal) user want to test it out? Seems to work now, Josh. I'll merge this thread with the devlog. Fun times while developing: it turns out that the demo runs substantially faster on Linux than Windows. I was able to push ~1000 ships into a battle with comparable FPS to 500 ships on windows. 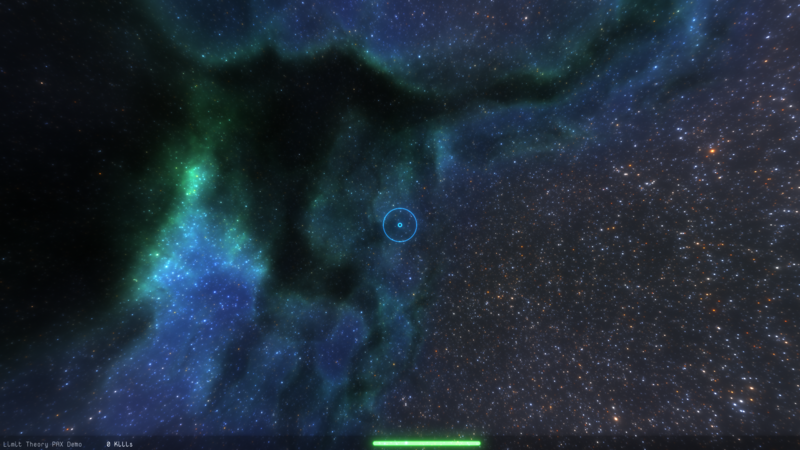 While playing with the quality settings, I decided to bump up the starfield quality as well -- from 50K stars to 100K. Except that I accidentally added an extra zero. The result was bizarre but beautiful. "My God, it's REALLY Full of Stars!!" Linux gamers will be quite pleased if that remains true. Can we pleaaaaaase have some of those without any UI? JoshParnell wrote: 3. The LT community is now fully convinced that I'm intent on doing things differently for the better. Right? Right?? JoshParnell wrote: Fun times while developing: it turns out that the demo runs substantially faster on Linux than Windows. I was able to push ~1000 ships into a battle with comparable FPS to 500 ships on windows. Odd. Also yay. But also odd. JoshParnell wrote: While playing with the quality settings, I decided to bump up the starfield quality as well -- from 50K stars to 100K. Except that I accidentally added an extra zero. The result was bizarre but beautiful. "My God, it's REALLY Full of Stars!!" I hope LJ will work as it should. Dinosawer wrote: Can we pleaaaaaase have some of those without any UI? I think this whole PAX thing is a good lesson learned in how a deadline can push efficiency and applying creativity in the right way. It automatically forces you to sort the priorites, and not to procrastinate on secondary features due to perfectionism. A deadline gives you limits on how to spend your development time. Lets call that a "theory of limits". Lesson 2: Player feedback. The developer is usually the worst to assess the fun, as he is much too close to the product, and might overthink on actually benign problems. Watching how people play is quite critical to find out about lack a of information/feedback, or what players expect in certain situations. JoshParnell wrote: Fun times while developing: it turns out that the demo runs substantially faster on Linux than Windows. 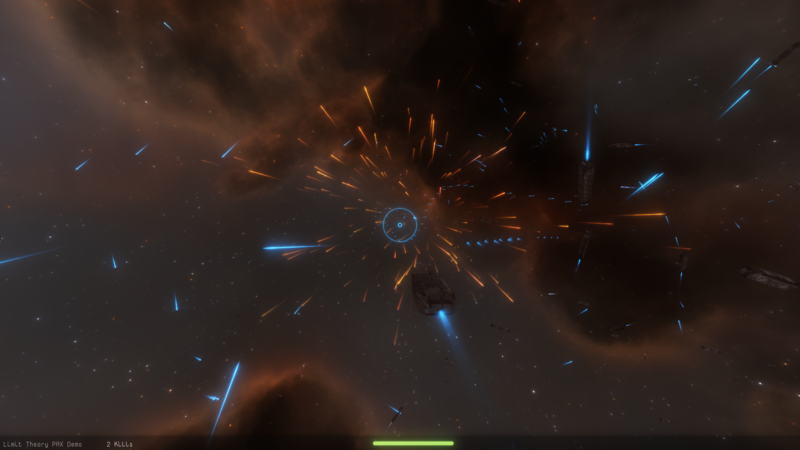 I was able to push ~1000 ships into a battle with comparable FPS to 500 ships on windows. 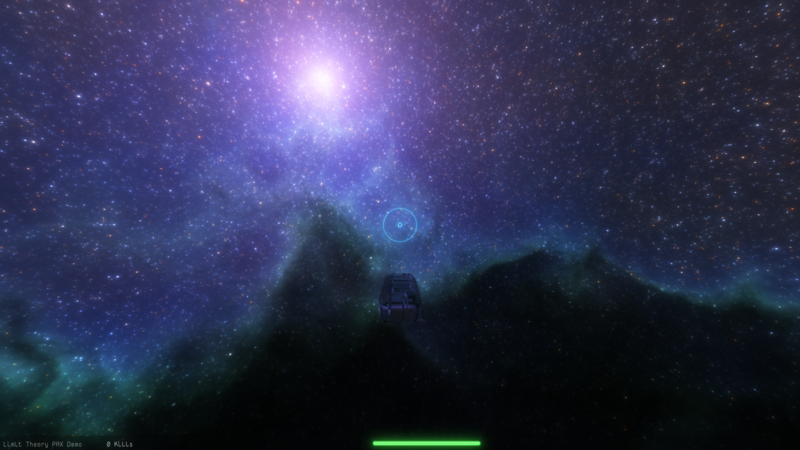 While playing with the quality settings, I decided to bump up the starfield quality as well -- from 50K stars to 100K. Except that I accidentally added an extra zero. The result was bizarre but beautiful. "My God, it's REALLY Full of Stars!!" 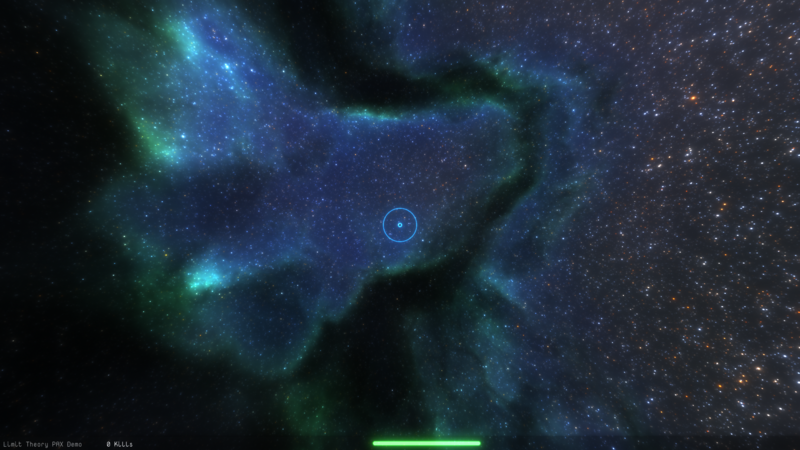 Uhh... does this mean that you're *not* generating the star field as a skybox, just mapping a texture to a (really large) cube/sphere/whatever...? Awesome info, many thanks! And great to see your enthusiasm .